I heard on the radio the other day that scientists have mapped the largest genome to date, eight times larger than the human genome, and that it belongs to a certain species of pine. The size of a genome is often measured in so called base pairs. A human has 3.2 billion base pairs, a horse 2.7 billion. A common ant where we live is the red wood ant. These little fellows has only about 0.3 billion base pairs. It is tempting to believe that the size of the genome is proportional to complexity and intelligence of a species, when thinking about these numbers. However scientists say that there are a lot of so called junk DNA in a genome; only a minor part of the base pairs are actually doing anything useful. It seems a little evasive, but since the now measured pine has 25 billion base pairs, maybe it is so. 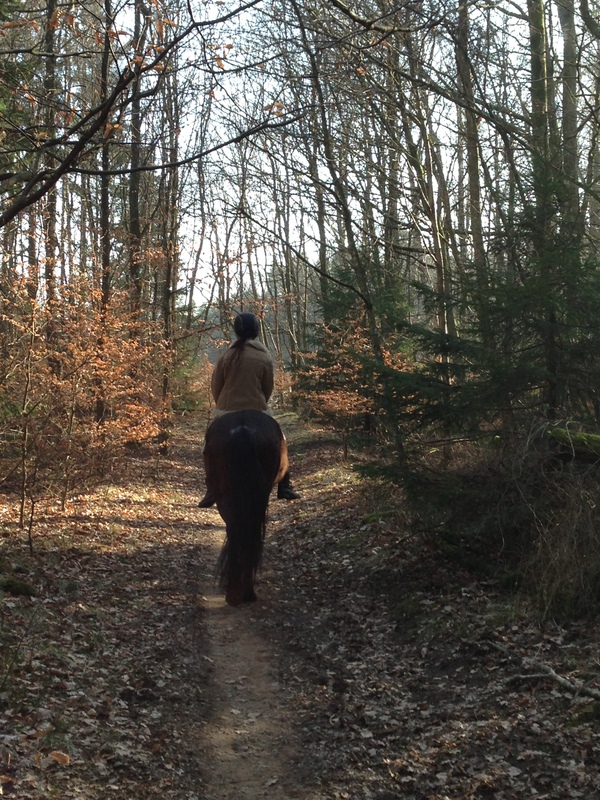 Windflower Dancer and our youngest daughter often go out riding on ancient trails thru the woods around our farm. Trails that were made by the deer and the moose, long before humans first ventured this way thousands of years ago. Windflower is a fresh mount, a Nokota and a very special horse. She is curious and self-aware; it is a good thing to let a horse choose the path. She easily maneuvers the difficult pathways, always evaluating where to best place her feet. In time she will be a trusty trail partner in a way that only Nokota horses can. I walk behind at a close distance to be at hand if needed. As we ride along the trail I begin to ponder; what if we are wrong, maybe every base pair of a genome actually means something… something we are not yet aware of. The ants are very clever as they build complex societies, but what does an ant know about human intelligence and what we can accomplish in terms of communication, technology and philosophy? Suppose an ant cannot possibly even imagine the intelligence of a human; how can a human comprehend what a tree can do? If trees were eight times smarter than we, would we ever know about it? At first glance a tree seems very simple in its design compared to a human, but isn’t it true that simplicity is significant of smart solutions, rather than complexity? Isn’t the shortest mathematical formula, E equals m c squared, the most genius one? A human would destroy its own habitat without a second thought, but a tree never would. What if trees uphold the highest level of knowledge in philosophy? I stumbled on a twig, but quickly regained my balance and thought; Well, maybe it is just junk DNA after all…or maybe not. 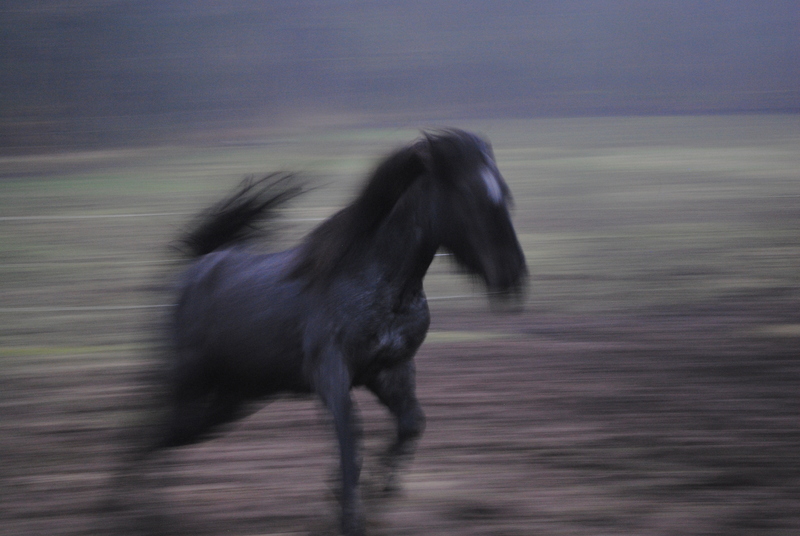 One of the first days of spring travels towards dusk and the horses senses the great mystery. The moist condenses into a faint haze that embraces the muddy grassland. A growing but muffled sound of hooves against the ground interrupted by the strained exhalation from running horses calls to me from within. The comforting and soothing smell of warm horses that fills the air just as the mare runs by within five feet, is time-stopping. “The wind of heaven is that which blows between a horse’s ears”. “She who owns horses goes where she wants”. Today the ancient need of horses for labour and transportation is forgotten and the age of information-sharing keeps humanity indoors disconnected from nature and the great mystery. But the greatest task of all still remains for the horse; the job to teach. We desperately need the horse to teach us what nobody does better; to sense the true value of nature and the great mystery. As a member of the Nokota® Horse Conservancy, I am dedicated to saving the Native Nokota® Horse through Education, Preservation and Promotion. This year pasture lease has tripled and adding that to last year’s drought has left 118 Nokotas® at risk for a future. This membership drive has been created to increase immediate necessary funds as well as awareness of the Nokota® horses. Please join the Nokota® Circle of Life for just $25.00. Please go to (link to Nokota Circle of Life ) to help ensure that these beautiful and trusting creatures have a future. P.S. Please help us prevent another great American tragedy from unfolding on the plains of North Dakota. Just 1 click (link to Nokota® Circle of Life ) and you can help us continue to support the Nokotas®, a living American Legacy. Please forward this to everyone you know who might care that these animals have enough to eat and a place to spend the winter. **This level of membership will receive one complimentary copy of the Nokota® News newsletter. 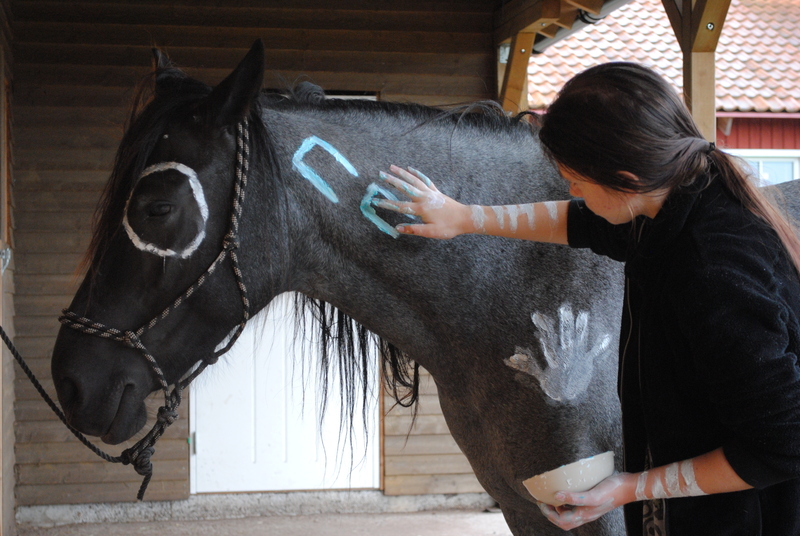 In the late nineteen seventies the Nokota® horses caught the attention of two brothers, that need no presentation in this context, but in brief one might say; their knowledge about horses in general is legendary and especially about the horses from TRNP. It is not their horsemanship or riding skills, though they have been very successful in extreme endurance races in the past, it’s not their skills as breeders, though them they selves and their ancestors have been breeding horses since dawn of time, it’s how they connect to horses, how they understand horses as unique living beings and the unconditional self-sacrificing commitment they put into their care of these wild horses. 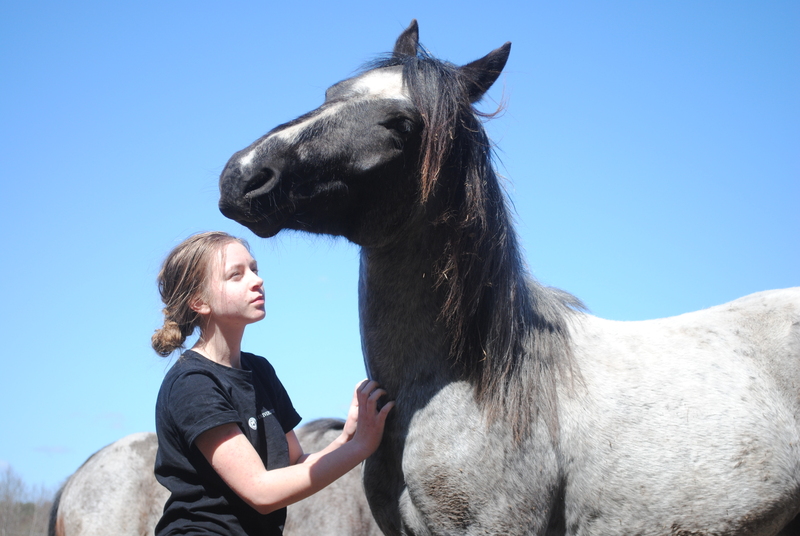 In time a handful of people have joined in on their commitment and gathered around The Nokota® Horse Conservancy since 1999, a nonprofit organization that works on voluntary basis to preserve, promote and educate. Several prominent researchers has thoroughly studied the history and genealogy of the Nokota® Horse as well as recognized the national (and international) importance of preserving the Nokota® Horse breed for future generations. 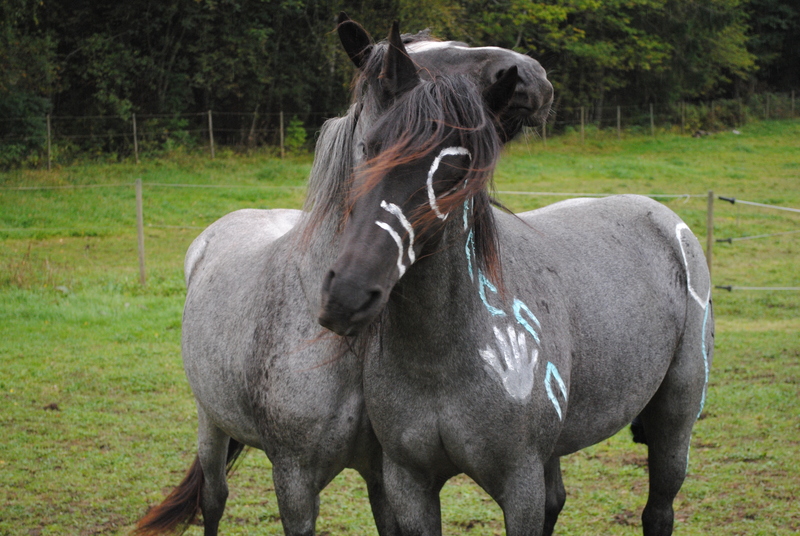 NHC are working to preserve an old breed not to create one. The NHC manage a preservation herd of Nokota® Horses on private leased land and they promote the Nokota® by spreading information about the breed and their relentless work to save an endangered breed. In addition to written information they educate by offering guided pasture tours and clinics where the attendants get a deep insight in the life of the Nokota® during a five-day experience. They have managed to get the State of North Dakota to recognize the Nokota as the official state honorary equine. With strong political support they have managed to accomplish resolution 4011 to make the NPS work to preserve the Nokota® horse breed within the TRNP, which the NPS provocatively answers by removing 50% of the horses from the TRNP this September. 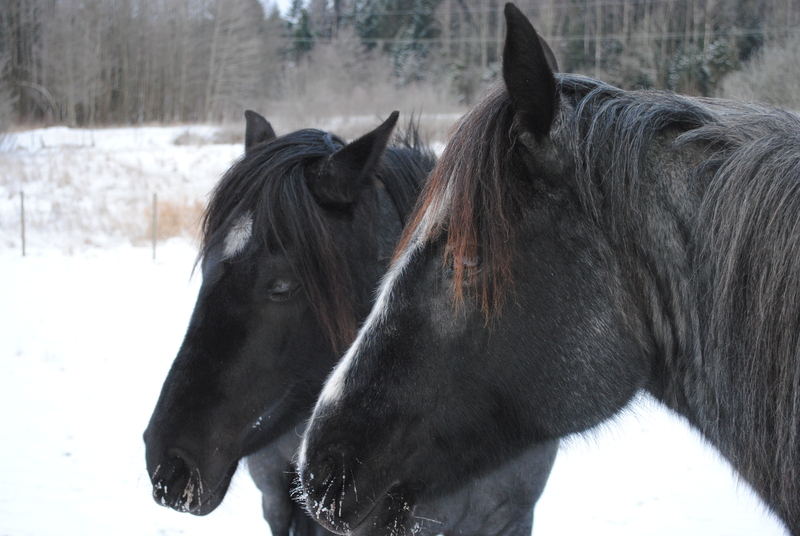 They fight on a day-to-day basis against hay prizes and pasture leases to provide for the Nokota Horses, totally dependent on donations and a NHC membership fee from a much too small group of humans like me and hopefully you who read this. The North Dakota Badlands Horse Registry (NDBHR) is a four-year old congregation of basically two families, formed “back in 2009” as they say themselves. 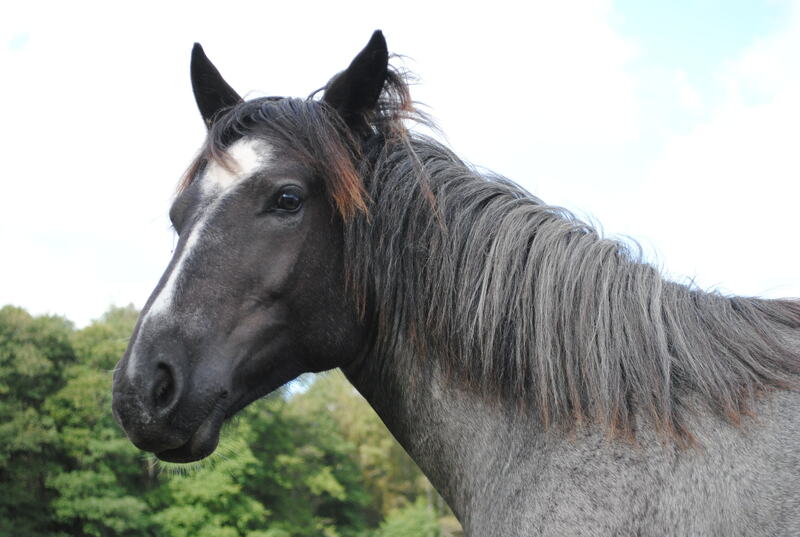 The NDBH is any horse of any breed or mix of breeds that comes out of the TRNP, well-defined and simple enough. NDBHR operate primarily thru Facebook groups and there is very little up to date information about them publicly available elsewhere. Parallel to their own registry they are very active in Nokota Horse groups and formerly also within the NHC promoting a wider acceptance of the Nokota® breed characteristics and that the, as they find, proposed colorful origin of the Nokota® horse is to dim and should not be told. They operate from Minnesota. By fair coincidence the same state a now closed shadow organization to NHC operated trying to run a parallel operation and steal the Nokota name. That is the reason the Nokota is a registered trademark today. The people behind the NDBHR work closely with National Park Service (NPS) which is the federal authority who runs TRNP and they agree with park policy that the park horses are all mixed feral horses of no special genetic background worth preserving. The NPS manages the horses within the national park according to their own rules and The Wild Free-Roaming Horses and Burros Act of 1971 does not apply in TRNP. Their job is to keep the horses within 70-100 animals to make sure that the parks head attractions the elk, the deer and the bison get a fair part of available grazing. The NDBHR founders are kindly helping the NPS by voluntarily monitoring the park horses and keep track of them. 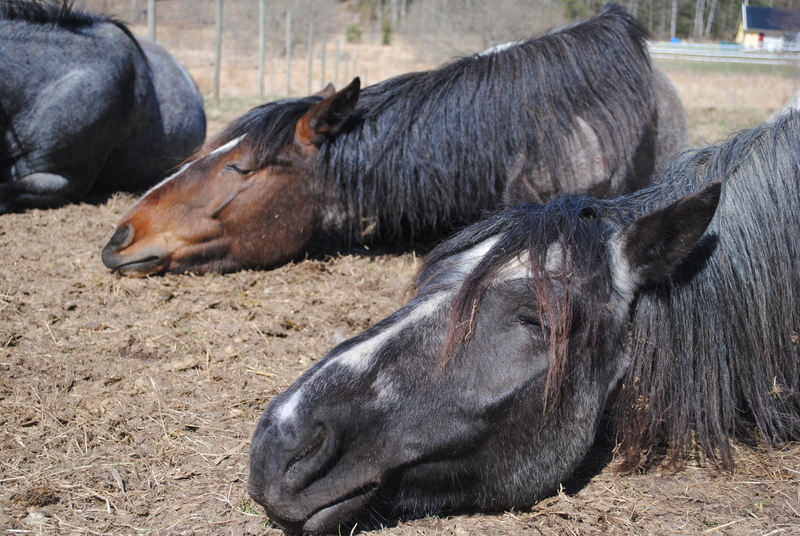 For a moderate fee the NDBH organization provides a registry for private owners of horses that has been rounded up and removed from TRNP, and their future offspring. They have no other costs than themselves and do not provide for wild horses, neither by work or financially. In cooperation with the NPS they promote frequent roundups of park horses and auctions as they believe it is a necessary evil they must accept to keep their good relations with NPS. Since it also provides a much welcomed business opportunity for the struggling livestock town of Wishek, as well as it gives everybody all over America the opportunity to come to a popular festivity event and for no other obligation than a wrinkled hundred dollar bill straight out of the pocket, buy and bring home a wild horse to be registered in their new and successful NDBH Registry, it is all for the best. This September 28th 50% of all horses in TRNP will be rounded up by helicopters, removed from the park by trucks on a 200 mile drive to Wishek Livestock auction. NDBHR is looking forward to a successful event, spreading advertising posters and keeping a list of prospects with photos and promoting descriptions, naively trivializing the well-founded doubts raised about the overall ability to provide appropriate safety for the wild horses. Monitoring and keeping track of the horses in TRNP is an already tax funded task that NPS are responsible for so however admirable the voluntary work done by the NDBHR is, it is per definition without purpose. The NDBHR is also for another reason without purpose since it already is possible to register horses from TRNP in the Nokota® Breed Registry in the Nokota® park cross category. The very existence of the NDBHR is severely contra productive when it comes to preserve and save the TRNP wild horses from extinction, causing great confusion among wild horse enthusiasts and stealing attention and means from the real cause; preserving the Nokota Horse from the North Dakota Badlands. The Nokota® Horse is a horse that originates from the North Dakota Badlands. The history of the Nokota® Horses is easily available at the NHC web page and there is also a series of blog posts on the subject here on this website. 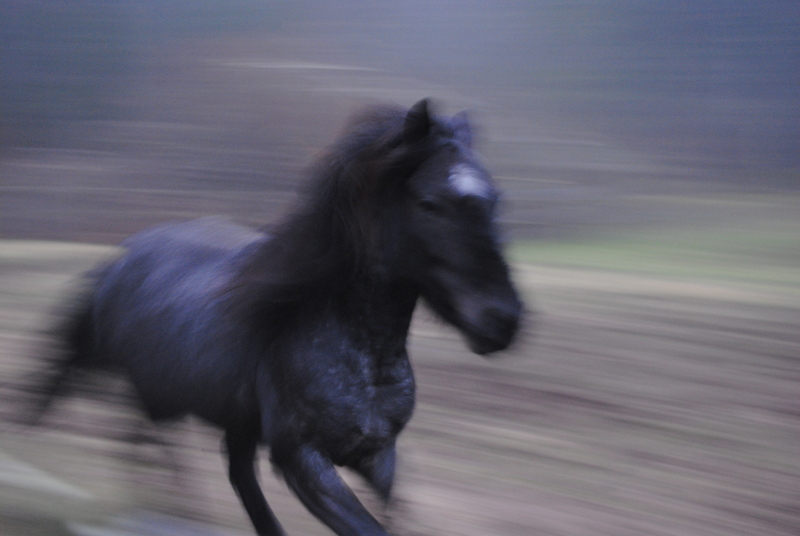 In brief the first wild horses came to the area around 1730. The horses of Spanish Colonial type blended in with later ranch horses of the area, but also with 60 horses from Sitting Bull and his Lakota people that Marquis De Mores acquired at Sitting Bulls Surrender in Fort Buford 1881. Other ranchers like A.C. Huidekoper also made contributions to the breed in the same era. The horses then lived isolated in the Little Missouri Badlands until around 1950 when the TRNP was formed and the horses happened to be caught inside the park unknowingly. The wild horses were considered trespassers not being part of the wild life, leading to a wild persecution of the horses, who then took refuge further and further up in the most remote parts of the park. In modern times TRNP was forced by public opinion to give up their goal to exterminate the horses and accept a so-called demonstration herd within the park, following regular roundups and auctions to keep the numbers appropriately low. 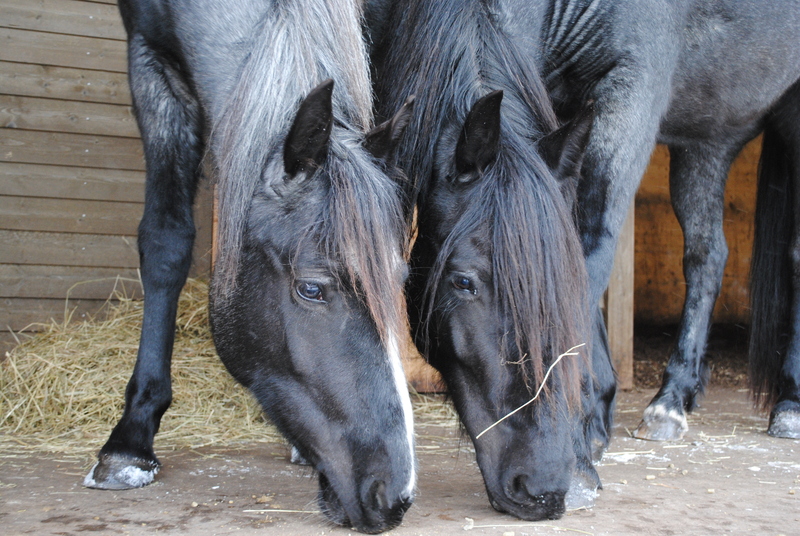 Some park employees used proposed reports of seeing signs of inbreeding as an excuse to replace some wild stallions with other breeds like Shire, Arabians, Quarter Horses and BLM Mustangs. This went on as late as in the mid nineteen eighties and it changed the horse population. Some very shy old bloodline horses still remained in the remote parts and occasionally some of them appeared on the auctions. The Kuntz discovered them as being outstanding horses, well-built and sure-footed, extremely versatile and with strong health, they began using them as endurance race horses, only later finding out about their history and their origin. But it was neither the history nor the horses physical appearance that caught their deepest interest, it was what you can’t see on the outside, it was their personality, their incomparable social intelligence, their language and complicated herd structure that was so unique, shared only in part by other wild horse populations living isolated under similar conditions. They have been working for the survival of these horses ever since, sacrificing everything for the Nokota Horses. The North Dakota Badlands Horse as newly defined is all and every horse coming out of the TRNP regardless of origin, though a few Nokota cross breeds still exists in the park and occasionally find their way to the auctions. 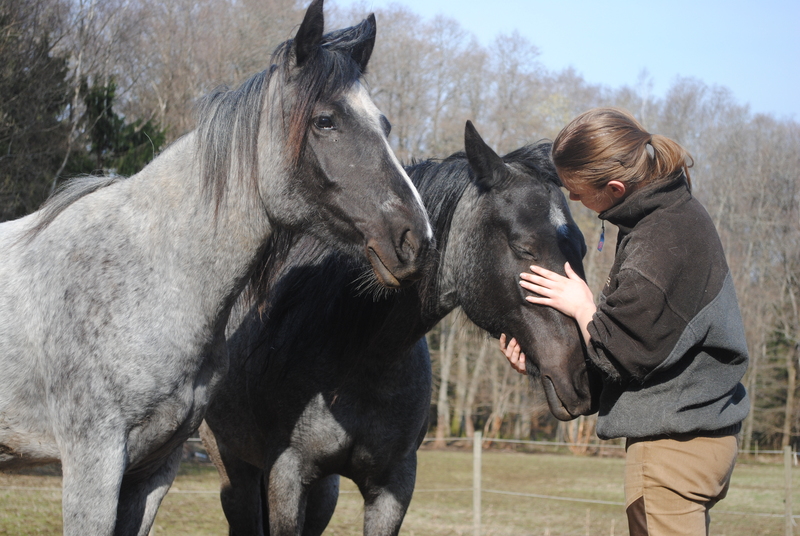 The NDBH are as all horses equally entitled to a good life that fulfills their needs, no sane person denies that. However the difference between these horse breeds is that the Nokota® Horse is the horse from the North Dakota Badlands as it was before modern time crossbreeding with various domesticated breeds. The North Dakota Badlands Horse is a horse coming from the Theodore National Park regardless of breed. “The removal of the, 110 or so, TRNP horses for the Wishek Livestock Auction next week is a necessary evil, but if we work together to make this a “successful event” we are making the best of it and doing the right thing for our community.” For the individual socially intelligent horse the traumatic experience of being violently separated from home and family, forced into an overcrowded compartment by shouting and waving men, driven far, far away and then sold at an auction to the highest bidder whomever, is beyond bad. What if horses were humans; in what position would that put you? “Let’s make this a successful event”, these words are cutting like a knife thru the very heart of humanity. To me a bad thing cannot be done in a good way. A bad thing is not relative at all, it is just absolutely bad. Embracing the lesser of two evils will keep you awake every night for the rest of your life. If we instead consider doing what’s good, consider this; If no one buys a single horse at the Wishek Livestock auction the NPS will be forced to take the horses back to TRNP and start doing their job the good way. I promise you; anyone competent enough can write a book of instructions on how to manage wild horses in a national park in a good sustainable way, maybe not easy, but not impossible. To do the same thing in a sustainable bad way, only requires three words; “remove the horses”. NPS is responsible for managing wild horses in TRNP and they are not putting enough brains into it. They have the opportunity and the funds to do something life changing, to be recognized globally, but they are sitting paralyzed in the dark. In addition to this the NDBHR is confusing the concepts for a less informed public and distracting the well needed help from the individual wild horses that need our help to survive, not because they can’t survive anywhere, but because humanity won’t let them. Join the Nokota® Circle of life. A Common Viper, common in every meaning of the word, bit Rosie in the nose last Monday. The viper, or whatever it was, must have been resting all dizzy and newly awake in the winter corral and surprised by the curious young horse poking around. 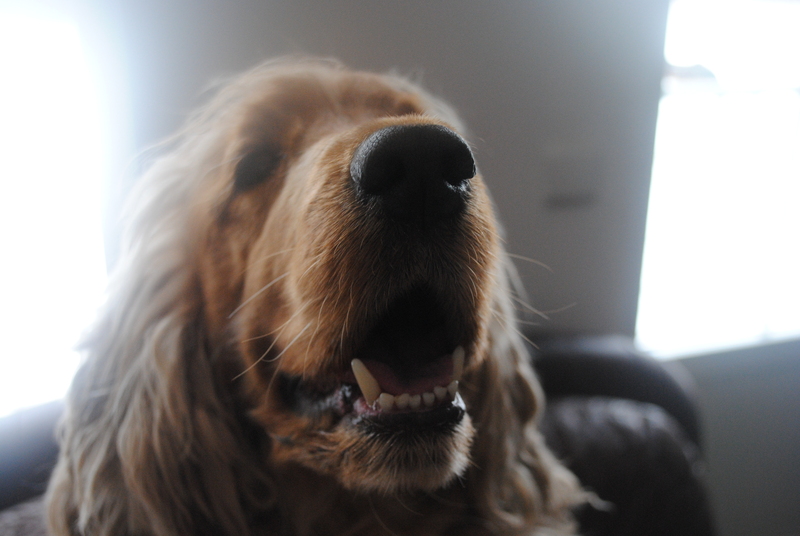 Rosie had two clearly visible tooth marks above her right nostril. Luckily the vet was only three miles away when she got the call and came at once. Rosie walked into the barn and lay down on the side. She was in great pain, shaking, sweating, breathing hard and her nose was swollen. She was given pain killers, liquid and cortisone by intravenous therapy. 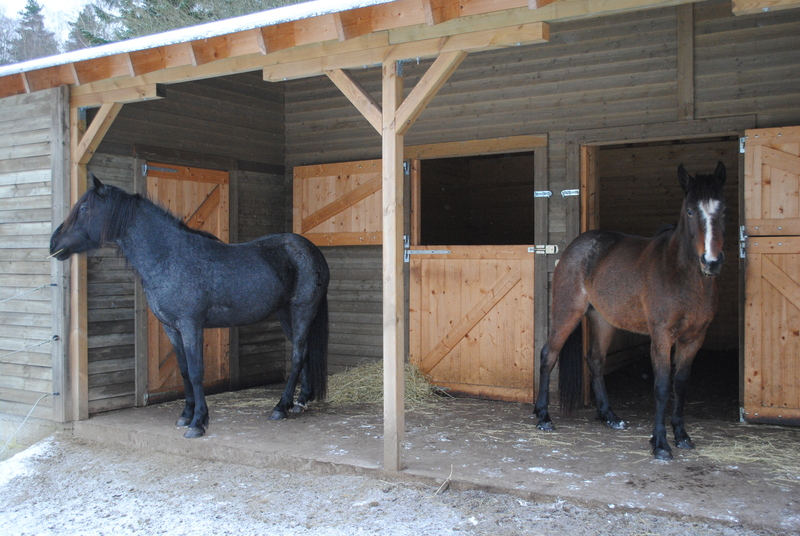 During the night we kept Rosie in a separate stall box, while Bluebell and Windflower shared the big stall next to her. We wanted to keep Rosie as still as possible to prevent the poison from spreading to fast and to give her time for recovery from the chock. It was the first time ever the horses were locked up for the night; otherwise the stable doors are always open, for the horses to choose freely where to go. We did not sleep much the first two nights. I wished I could take her place, why didn’t that common viper bit me instead? If Ireland have no wipers why must we, what are they good for anyhow? Why is it that when your children (and your animal children too) hurt it is worse than when yourself hurt? Our concern proved unnecessary. The horses did just fine and in the morning they all greeted us, with their heads sticking out of the open upper door halves. Rosie recovered amazingly fast. The third night we left the stable open, but we could see by the marks in the bedding that they had at least spent some part of the night inside the stable anyway. Bluebell carefully groomed Rosie’s mane and Windflower was also very sweet to Rosie. Four days after the snake bite Rosie was just as good as before, but the incident has affected her in a way. She is even more affectionate now and it seems that she fully understands that we tried hard to help her. Her bold curiosity has hopefully turned into a slightly more mature and careful kind, much like Bluebell’s. These wild Nokota horses are strong in both body and soul, so if we can’t save them what can we really save? For the first time in a hundred years there have been many wolf observations along the west coast of Sweden lately. Well, wolves have been spotted before, more or less likely from time to time, but nothing like this. November 27th there was thirteen sheep killed by a wolf at a farm in Knäred near Halmstad. Since then a wolf has been seen at multiple locations along the west coast from Halmstad to Gothenburg. 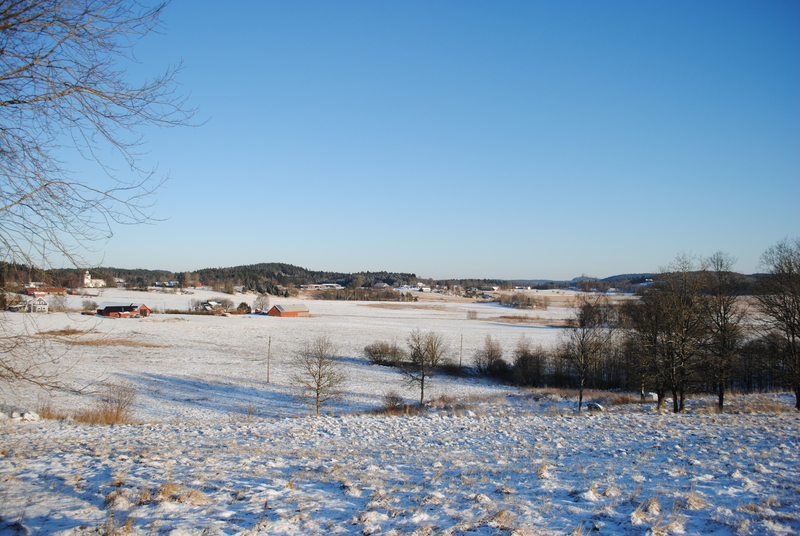 In January seven sheep were killed by a wolf in Billdal south of Gothenburg. There has not been much opinion whatsoever about the wolves as far south as here before, but we can feel the change coming. The natural drama between human, wolf and horse is an ancient classic that calls for a longer blog post than usual, so arm yourself with a cup and a sturdy kettle of hot coffee, hang on. The wolf evolved in North America, just as the horse did. Eventually they spread across the Bering Sound to Asia and Europe. The two top predators in Europe, Homo sapiens and Canis lupus lupus lived in coexistence for maybe one hundred thousand years, competing over the same hunting grounds. By the end of the last ice age, about ten to twelve thousand years ago, the huge glacier that covered large parts of the northern hemisphere began to melt. Soon vegetation reestablished which attracted all kinds of grazing animals. In their footprints followed the carnivores; wolves and humans. Occasionally we humans, stumbled on the tracks and scraps our competitors left behind, but our paths seldom crossed; we were few and there was plenty of prey. We always knew they were better trackers and hunters than we were; we were too proud to fear them, but we respected them and secretly admired them for their powers. We made camp before dusk, protected by the campfire we fell asleep at the sound of wolves howling in the distance; the wolves crossed the threshold of our dreams into our spiritual world. The wolves grew in numbers faster than we did and our luck turned. Soon we found ourselves fighting for survival. 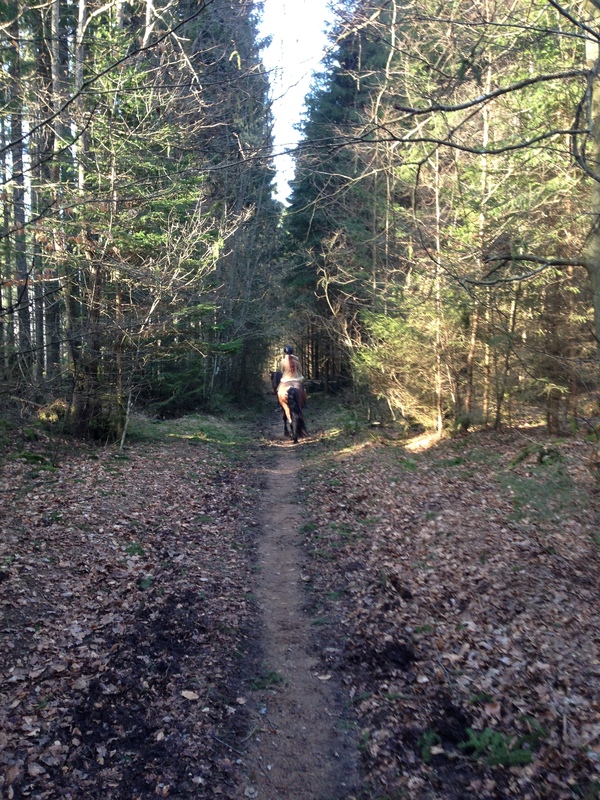 Traveling by foot in wolf country, we felt vulnerable; the horse became our savior. We gained speed, height and confidence and became better hunters. The horse watched over us; her sharp eyes, nose and ears served us well. Eventually we found a complement to hunting and gathering; we began to breed sheep, goats and cows, we learned to plant and harvest, we built permanent lodges and became full time farmers. Now our conception of the wolf changed. The wolves had to use all their powers and skills to kill the wild prey. Evolution favored individuals with the most aggressive and persistent hunting instincts. When the wolves encountered our peaceful farm animals they were confused; jumping the fences and killing the defenseless sheep was too easy, they killed them all not knowing when to stop and by that the lives of our ancestors were shattered. We cursed the wolf as a symbol of all things evil. The dog and the wolf, closely related yet so different; one is our best friend, the other our worst enemy. Humans lost their respect for the wolf, they no longer just feared the wolf; they began to despise it. Considering our long coexistence it may be that some of our phobia against darkness, deep forests, open places like frozen lakes, scary sounds and so on, is due to our ancient and inherited fear of wolves. All those fairy-tales and myths about wolves told to every new generation of children is another indication of how we feared the wolf and how important it was for our children to watch out for wolves. Our language provides us with clues about the past. Some words are similar in many languages, meaning they are ancient words we used as our language was new and we were much fewer than today. The most noticeable example is the word “Mama”; it sounds almost exactly the same in all languages. Another word we rarely ponder about today is “Wolf, Wulf, Ulv”. It tells us that the wolf made an important impact on early humans. The word for wolf in old Swedish is “ulv”. The present word we use for wolf is “varg”, which is actually another old word meaning thief or killer. By superstitious reasons people feared to speak out the real word “ulv”, so they used nicknames like, “varg”, “den gråe” [the grey], “gråben” [grey leg] and “tasse” [paw]. Scandinavian Viking mythology gives support of how ancient humans feared and respected the powers of the wolf. Oden, the god of wisdom, had two helpers Gere and Freke, both of them wolves. The giant wolf Fenris was the son of Loke and Angerboda. A prophecy says that one day as Oden rides on his horse Sleipner to Valhall armed with his sword Gunger, he will be slain by Fenris the wolf, but Vidar the son of Oden will then tear up the jaws of Fenris. Swedish laws from the mid 1300’s require farmers to build wolf traps and keep weapons for wolf hunting. In the mid 1500’s written accounts tells us that the wolves were very numerous all over the Swedish mainland and during hard winters they strayed into villages, spreading terror among the villagers and their critters. As our weapons improved the hunt for wolves intensified, clearly the goal was to exterminate the wolf. 6 240 wolves were killed between the years 1827 and 1839. Kerstin Jonsdotter a young woman from Laholm was the last person to be killed by wolves in southern Sweden; the year was 1846. On her way back from church she went ahead of the others to prepare the Sunday coffee, but was attacked by wolves and killed. Over the years as people passed on their way to that church, they each brought a stone to the site, which grew to a monument; the place became known as The Death Cairn. 1 850 wolves were killed between the years 1850 and 1859. The last wolf to be killed in southern Sweden was shot in 1888 in Småland . Twelve years later there were only about 100 wolves left in all of Sweden. In 1950 the number was down to 20. A law was enforced in 1966 to protect the wolf and by then less than 10 wolves remained. The year 1980 not one single wolf was believed to exist within the borders of Sweden. The damages on livestock caused by wolf attacks began to raise a public opinion against the reintroduction of wolves in Scandinavia, so in 2009 the Swedish government decided to limit the population to 210 individuals; the number was a compromise taken out of the blue. In 2010 a thorough inventory set the estimation of the number of wolves in the interval 289-325 individuals, followed by the introduction of a limited hunting season. A total number of 4 500 licensed hunters killed the stipulated 29 wolves in 26 days. In 2011 a total of 455 sheep were killed by wolves at 62 attacks. Four cows lost their lives and 43 dogs were attacked and killed. A new hunting season was set. This time no less than 6 428 excited hunters applied and were granted for a wolf hunting license and the 19 wolves were killed in 21 days. 30 family groups and 28 new batches of cubs. 26 stationary couples, yet without cubs. The total number of wolves in Sweden is currently estimated to between 260 and 300. As a reference there are also about 1500 lynxes and 2500 bears in Sweden. In order to reach a sustainable wolf stock the current population must increase according to Naturvårdsverket [The Nature Preservation Agency]. The exact numbers required depends on how many wolves that might migrate from Finland and Russia for genetic reinforcement. Twenty dead wolves was confirmed; twelve killed under protective hunting legislation, three shot by support of Jaktförordningen §28a (self defense in protection of domesticated animal), five died in traffic accidents. In addition to this two wolves were presumed illegally killed and there was one further suspected illegal kill. The wolf [Canis lupus] is strictly protected by The Species- and Habitat Directive 92/43/EEG issued by The European Union, May 21st 1992. Exceptions when protective hunting may be permitted are strictly regulated in article 16.1 but the interpretation of this article is debated between The European Union and Swedish officials. What’s a sustainable wolf population? 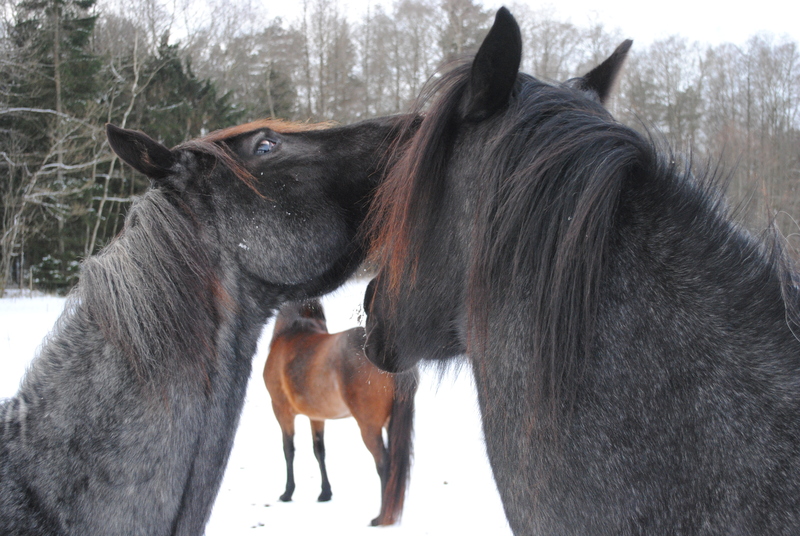 Lately the Swedish government has launched another licensed hunt this winter 2013. To avoid criticism by the EU the Swedish government is trying to impose a concept to improve [?] the genetic variation by shooting 18 wolves; 2 wolves each in 9 selected habitats. This idea is kind of weird, because it implies that it would be like sorting out rotten eggs out of a basket; unfortunately genetics doesn’t work like that. The simplest form of mathematics states that to gain something you must add, not subtract 😉 Genetic specialists have, very discrete but most inconveniently, pointed this out to government officials. [Three wolves has been killed, but the hunt was stopped a few days ago by court order]. All individuals in a population are genetically different (yes, even twins) no matter how small the genetic difference is. By removing individuals from that population the total genetic variation within that population will certainly decrease. It is true that the genetic variation between the remaining individuals will increase, but whether a population is sustainable or not depends on the total existing variation within the population, which is the combination of both numbers and variation. There are two ways to increase genetic variation. The quick fix is to introduce individuals from other populations, which is very effective. The other way is to wait for natural mutations, which is changing the genetics on a regular basis. If the original genetic variation is large enough within a population, the naturally occurring mutations will, as the population grows, in time gradually change the genome enough before the population turns sterile; thereby allowing the population to grow its genetic variation infinitely. We may mention a parallel to the Nokota Horse, as well as other isolated wild horse populations, that concern have been raised about the genetic variation in these horse populations and that external horses must be introduced at all times. As you know by now this view is false. Once a population has managed to grow to a certain size, the genetic variation is basically forever guaranteed. Then what is the purpose of yearly hunting seasons for wolves? The correct answer should be to control the size of the population. However, the controversy is that the wolf population in Sweden has not yet reached a sustainable genetic variation, so shooting wolves at this point will only make it worse. Because there is a political decision to limit the wolf population we must rely on a steady flow of migrating wolves from Finland and Russia, which is problematic since these migrating wolves must escape undetected thru the northern reindeer districts to reach the habitats in mid Sweden. Another alternative that has been discussed is to introduce puppies from Finland into already established family groups, [meaning: tranquilize the parents, “remove” the original cubs, switch them and hopefully the parents will adopt them] but no benefactor has volunteered to donate puppies from an already low Finnish wolf population and Swedish wolf experts has expressed doubts about such a dicey experiment. However, the opinion against wolves in Sweden is not unprecedented at all considering the number of killed sheep and dogs. The support and economical compensations for “damage on livestock by protected predators” are more like a minor contribution than a full compensation. When it comes to sheep or cows raised for slaughter it might only be a question of generous economical compensations and maybe killed hunting dogs is a risk a hunter must be prepared to take, but the risk of wolf attacks against horses, dogs, pets and other farm animals alike is truly a serious problem! To see your horse, after years of friendship work and deep affection, being killed by wolves is a very high prize to pay for an individual citizen. To go one step further and consider the risks of even worse incidents feels unnecessary. In order to be able to live in a country with wolves, it seems necessary to accept the concept of “risk”; not being one hundred percent safe when walking in the woods or keeping your animals out on pasture. But is “risk” a relevant concept? For most people the “risk” of ever meeting a wolf is 0%, but for those who lost their sheep the “risk” was 100%. So isn’t it more about who’s making the decisions and who’s taking the risk that is the issue? So if a sustainable population of wolves call for numbers that is bound to cause a serious negative impact on people’s lives, then maybe Sweden is too small a country, or to densely inhabited, for a population of free living wolves? One way to look at these paradoxes is to analyze the perception of; what’s human and what’s natural. For example: the Swedish moose population has lived without natural enemies in Sweden ever since the wolf was exterminated, so every year there is a hunting season for moose in October and one hundred thousand [100 000, honestly a true number, not kidding] moose are harvested in a humane and almost painless way. This means that the moose population can feed a thousand wolf family groups, a total of 40-80 thousand wolves! Without this annual hunting season the moose population might soon grow out of its habitat, leading to starvation not only among the moose but also among different deer species, deceases, increasing numbers of deadly traffic accidents, etcetera; very inhumane. So if this is the “human” way, how is the natural way? Well every natural ecosystem contains both predators and prey animals; it’s the engine in evolution and very “natural”. Wolves feed on moose. Some moose are easier for the wolves to catch than others, which mean that the surviving moose possess some feature that makes them more successful than other moose; stronger, faster, wiser, healthier, etcetera. It also means that the best wolves will be successful, leading to stronger, faster and smarter wolves. “Survival of the fittest” as Charles Darwin wisely stated. In a natural ecosystem evolution improves the survivability of biological life as a natural phenomenon. In a human engineered and controlled ecosystem, the finest moose are shot leading to a degenerate unhealthy population and the wolves are kept at low numbers in constant need of genetic renewal. Maybe it is not natural to be human, or human to be natural? To kill for food or in self defense to protect offspring is natural, but it is human to consider future consequences. Our intelligence has given us the self confidence to engineer our own comfortable future; in the name of progress we stop at nothing. We want to live our lives in maximum comfort without fear or inconveniences; the world is our resort. The laws of nature no longer abide in us. Sooner or later we must acknowledge humankind clumsiness, because nature always wins. Even the simplest ecosystem is far more complicated than we can even imagine. The more we interfere, the more damage our ignorance tends to make. Why not let nature restore itself to a working ecosystem, why interfere. Accept that nature is what it is; there are predators as well as prey animals in the woods, nature is not a park or a garden made for our convenience. If we want to keep farm animals it is our own responsibility to keep them safe. If the wolves get to our animals it is because they are better wolves than we are farmers. It is time to prepare for a life with wolves and to learn how to do so without anybody getting hurt. It is of common interest so all must share the responsibilities. There are several subspecies of wolves. The wolf in northern Europe, northern North America and northern Asia is called the Eurasian wolf. There are believed to be more than 100 000 individuals in northern Europe and northern Asia so the species as a whole is not threatened, but many populations are isolated and thereby vulnerable. Swedish wolves weigh typically 35-50 kg and are 70-80cm tall by the withers. (Southern European wolves are only about 60 cm tall.) Russian wolves can weigh as much as 70-80 kg, but only one such big wolf has been found in Sweden, shot in 1937 near Luoktjemtjuolta. Ordinary wolf packs, or family groups, in Sweden usually consists of 4-8 individuals, the largest documented group was 11. A Swedish wolf habitat is typically 30×30 kilometers [20×20 miles]. A habitat consists of a couple and their cubs and yearlings. Mating season is February to March and the pregnancy lasts for 65 days. There are usually 4-8 puppies and they eat meat from 5 weeks of age and they are totally weaned at 10-11 weeks. They stay two years with their parents. Life expectancy is 10-12 years, 16 at the most. Scandinavian wolves are most active between dusk and dawn; this is when they hunt and feed. In Sweden wolves move 20-30 kilometers a day on average, but 50 kilometers is not unusual. Wolves travel with great determination; migrations of up to 1100 kilometers have been recorded. Wolf tracks are difficult to distinguish from those of dogs and lynxes. Only by tracking over a long distance and considering stride length and the pattern of movement it is possible to confirm wolf tracks. Wolves are experienced travelers so they often walk in each other’s footsteps and their tracks are straight and unwavering, while dogs stray in different directions. Some dogs may be mistaken for wolves when seen from a distance or in bad light conditions. A wolf tail is often held level to the ground or slightly downwards, while a dogs tail is held higher or coiled. A wolf travels in trot with a stride of 120-160cm. A wolf is heavy compared to the size of its paws, so running in deep snow and on soft grounds may be very energy consuming. To save strength they may favor to follow scooter tracks, ditches and roads. Wolves are often cautious and suspicious, they don’t mind walking around obstacles, so when encountered with a fence they may well choose to do so. However young wolves may be very impulsive and unpredictable; as inexperienced wolves they may well stray into populated areas. In areas with a dense wolf population the prey may become scarce, which increases the risk that some wolves might move closer to populated areas looking for easy prey. The wolf diet in Sweden is primarily (96%) eurasian elk (moose) and roe deer, but also smaller mammals. Locally the roe deer’s can make up a substantial part of the wolf diet. A bear can live on a vegetarian diet, but a wolf needs meat. On average a family group of wolves may kill 100-120 moose a year, mostly calves and but also grown up moose. A wolf need 500-800 kg meat a year and they eat 2.5 to 9 kg at a time. Wolves kill far more prey than they can eat, so is the instinct to hunt stronger than their hunger? Well, one may say that practice make perfect. Among predators the evolution favors the best hunters, not the humane and considerate. By constantly searching and hunting they earn the skill needed for survival. Wolves do not hunt the way they do because they are evil, but because evolution made them into what they are. A grown up wolf can kill an elk all by itself. They are very persistent and may pursue their victims for long distances. Sometimes a wolf might get wounded or killed by the moose during a struggle. 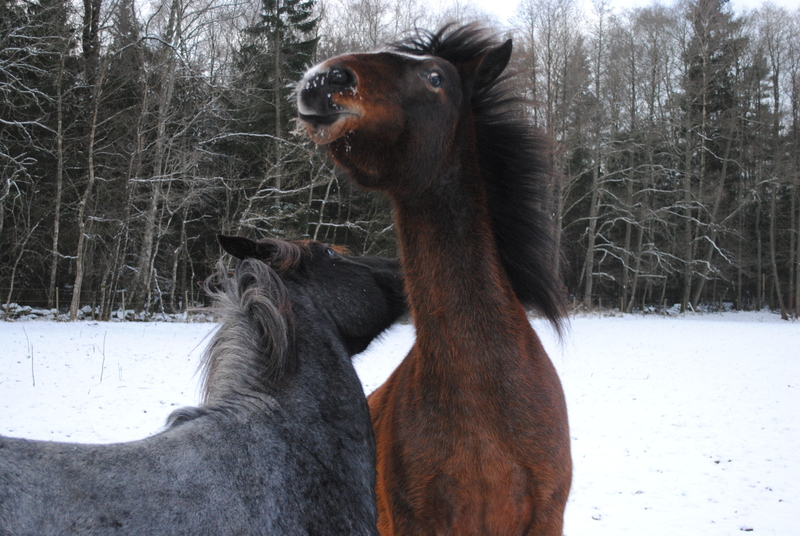 There are very few incidents involving horses and wolves reported in Sweden. 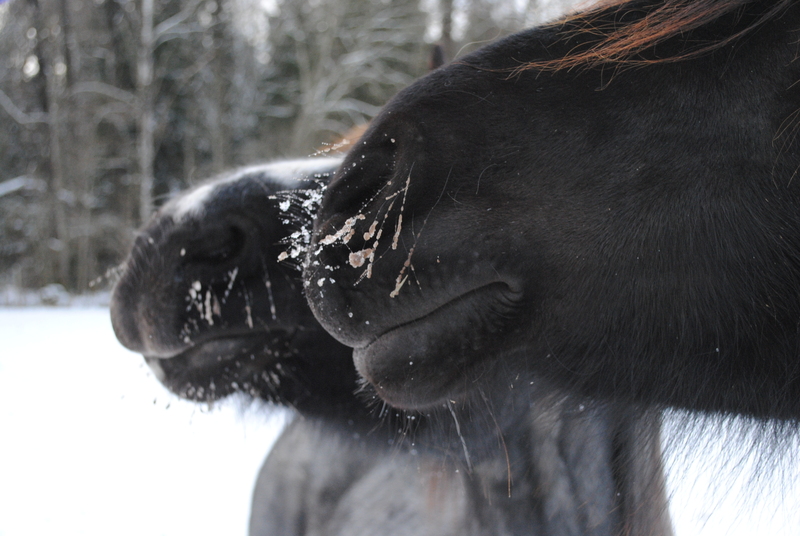 Two horses have been killed since year 2000 [Värmland] and two horses have been injured [Enköping and Bohuslän]. 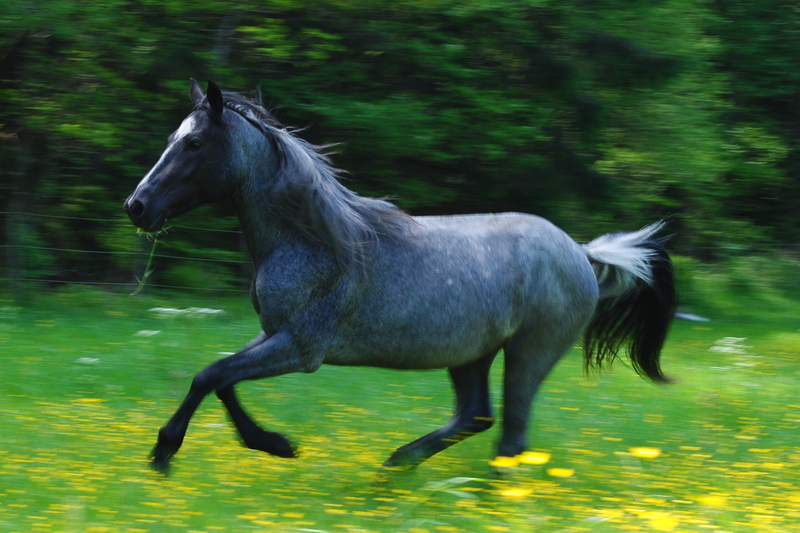 One reason may be that few horses are kept outdoors at night; the other being that horses probably is the most difficult among domesticated animals for a wolf to attack. Horses have one advantage against wolves. Wolves in Scandinavia have no experience at all in hunting horses, they are specialized in elks. Horses, in particular less domesticated breeds like the Nokota horses, have deep instincts that tell them to beware of predators. When confronted with danger horses use a three step strategy. First they stand tall, boost up themselves and try to look as dangerous and self confident as possible; usually a predator is discouraged by that demonstration. 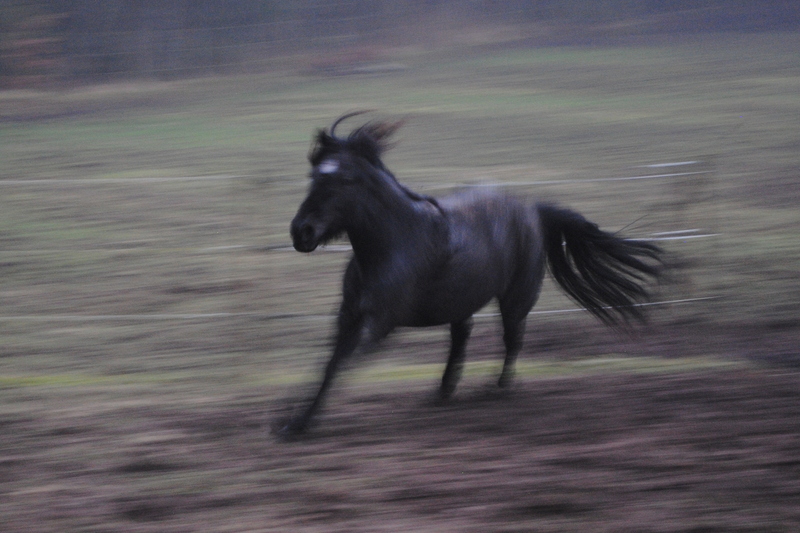 If it doesn’t work, horses turn around on a coin and take off, kicking backwards while accelerating. 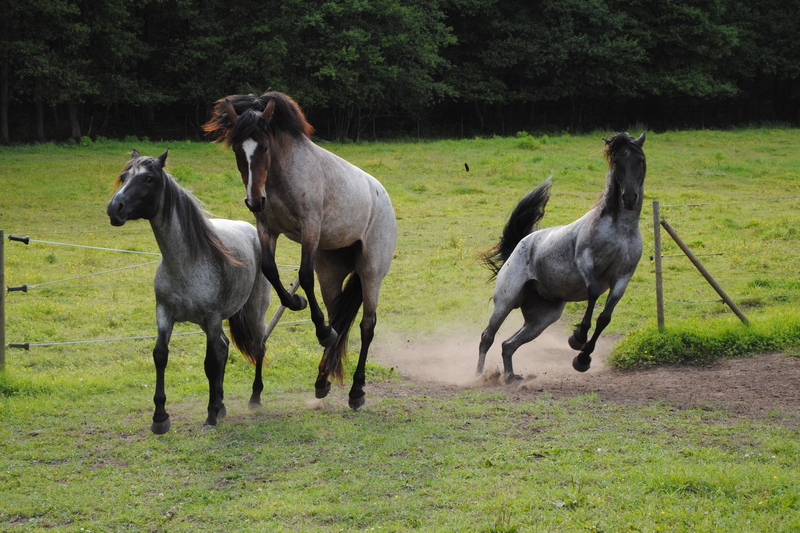 If they by some reason can’t get away or if they get cornered, as a last chance they stand and fight, and make no mistake; horses can kick and they can bite. One good kick from a horse is all it takes to knock out a wolf for good, no matter where the hoof hits. A wolf needs to be in perfect condition to be able to hunt for a living, the slightest injury and a wolf is deemed to starve. An experienced wolf knows that and avoids unnecessary risks, but then of course there are the young inexperienced and hot tempered wolves. Wolves are smart and they can learn which techniques to use for different prey animals, but they generally prefer to take the easy way out and stick to what they know. A band of vigorous healthy horses is definitely a very big risk for a wolf to take on, although a lonely old horse left in the pasture over night, might be something else.